Over 9000 Zombies! It is a retro style game, with a displacement of our character from top to bottom. The same game title already suggests, tons and tons of enemies zombies will be launched towards you, What to do? Well, exterminate and annihilate all the hordes of hungry and evil zombies. But you are not alone, you will be able to choose from a massive variety of weapons, build a base with automated turrets, and other fortifications, and survive as long as you can while you kill as many zombies as you can. The game also features cooperative multiplayer mode, with which you can play with friends and join forces to fight the endless hordes of zombies. This is an Early Access game, so some functions need to be touched up. From the beginning you have access to over 20 weapons and 6 defensive turrets to help fight the endless hordes. It is also possible to play in cooperative mode, although it is still in a beta phase. 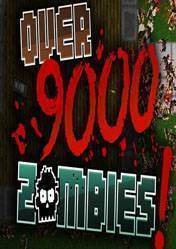 There are no comments yet about Over 9000 Zombies! . You can be the first one!